There’s times when we have all probably wished we could go back in time to change something but there’s no such thing as a time machine, right? 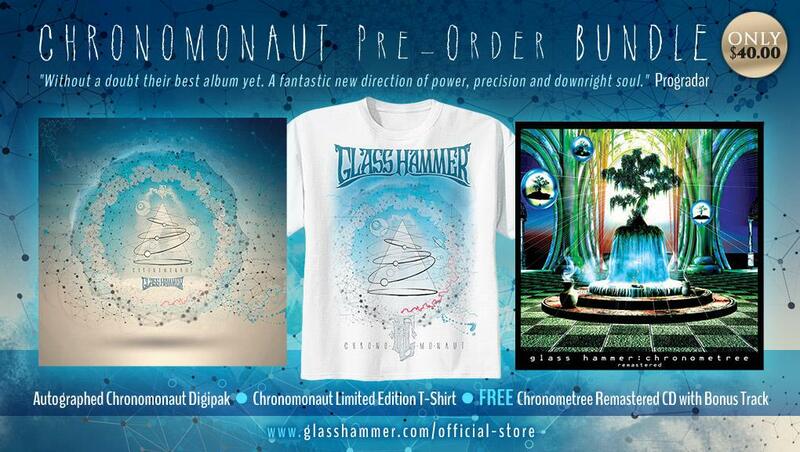 Glass Hammer’s new concept album ‘Chronomonaut’ answers the question ‘what if?’. The new release is a stand-alone album but also acts as a Part Two for the highly successful 2000 release ‘Chronometree’. 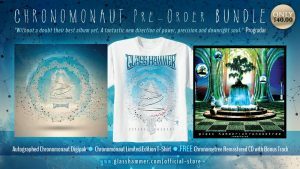 Long been known as being proponents of classic progressive rock with influences from the 70’s, Glass Hammer make a bold new statement with ‘Chronomonaut’, a new direction that gives them a definitive sound of their own. I’m always excited by the announcement of a new album from this band but, this time, they have gone more than the extra mile. The band has been engaged in a buzz-creating viral marketing campaign which NJ ProgHouse Media Manager Jon Yarger describes as “pure genius”. “We not only have an epic music video set for release, we have also been releasing found footage from Tom describing his band’s expoits and his odd theories on time,” explains Babb. 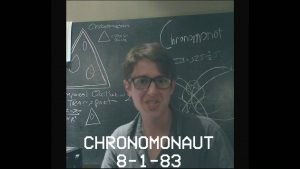 Fans have been following Tom’s escapades for weeks before the album was announced, and are eagerly anticipating the ‘Chronomonaut’ release. The gorgeous digipak design incorporates Tom’s story and lyrics. The striking cover design is by Xaay, a fairly well known death metal guitarist / vocalist from Poland. There’s a narrative running through the album and reading the booklet along with the tracks is a must, the powerful opening instrumental The Land of Lost Content introduces a more heavier sound before Roll For Initiative opens Tom’s story, ‘he could hear voices in the music; voices the rest of us could not, voices which instructed him in the science of time travel.’ Already you can hear the new direction that the band are forging, there’s a great jazz rock vibe coming across, especially with the brass section. Steve Babb’s bass is as elegant as ever giving depth to the music and the drums are a guiding light. Twilight of the Godz is one of my favourites on the album, an ever so elegant track where Tom debates the merits of reliving the past with an old bandmate. Brian Brewer’s soulful blues guitar and Susie Bogdanowicz’s heartfelt and passionate vocals stand out on a song which, to my ears, channels late 60’s Beatles at its core, Fred Schendel’s ultra smooth Hammond and Steve Babb’s keyboards providing layers of class, and the guitar run out is a thing of sheer brilliance. We’re on a roll now, this excellent album continues with the silky smooth The Past is Past where the past reminds Tom of all that might have been. What a superb intro, never has a saxophone (take a bow Jamison Smeltz) been put to such good use since Baker Street and the vocals (from Discipline’s Matthew Parmenter, if my ears don’t deceive me) really fit the mood. Think singer/songwriter meets jazz band with a King Crimson fixation and you wont be far wrong, it is theatrical in its delivery and really gives the band a completely different feel. This enjoyable romp through space and time continues with the stylishly delivered 1980 Something where, ‘Like an old girlfriend returned from decades ago, the past beckons..’ Susie’s vocals, some judiciously played guitar and Steve’s dextrous keyboards (he doesn’t just play bass you know!) imbue the song with timeless sophistication and refinement. A Hole In The Sky sees the story get serious, ‘Tom must make the attempt to go back in time.The past, nostalgia, whatever it is that’s calling him, he has to find it.’ The music definitely takes a trip back in time with a bouncing 60’s vibe that is really infectious. The vocals, guitar and, especially, keyboards invoke such feelings of that decade that you’re virtually transported there yourself, it’s a very clever piece of music. A sci-fi inspired instrumental which could have come from Tangerine Dream (more of that later) Clockwork, with its 80’s sounding keyboards, is two minutes of musical dexterity which wouldn’t have been out of place in one of the Terminator movies. Haunting and spaced out in equal measure, Melancholy Holiday has far eastern edge to it, Susie delivering a wonderful vocal performance.‘Once through the portal, Tom finds himself adrift in the murky waters of time where he find the past isn’t what it used to be’. The languid tempo does make you feel like you are drifting in a vast expanse of nothingness, with no idea where you are or where to go. It Always Burns Sideways is a two-part instrumental that is ying and yang. Pt.1 Same Thing Over Again is dark and dangerous, the heavy accentuated keyboards giving a Van der Graaf Generator undertone to the music and a daunting atmosphere. 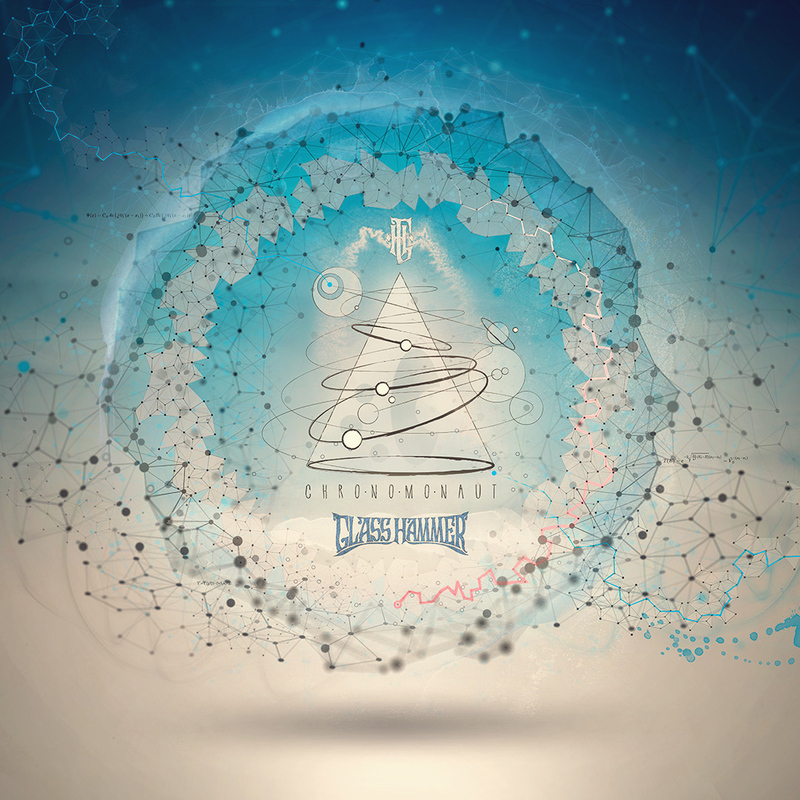 Pt.2 Headphones In Wonderland is a polar opposite with its uplifting feel and swirling keyboards. It’s like the band recruited Mike Oldfield for a cameo and played a jam session along with him. The classically stylish guitar is a superb addition and just left me feeling elevated and inspired. Glass Hammer show that they can do the pomp and circumstance as well as Transatlantic or Neal Morse with the exhilarating Blinding Light. ‘Tom realises at last that the only way to get ahead is to go forward. And anyway, time only travels in one direction. It’s time to leave the past behind.’ The sumptuous brass section, dynamic drums and exalted keyboards give the track a vibrancy and inject it with heart and soul. Excellent vocals and subtle guitar are the icing on a rather tasty cake, one that emphasises the impressive new sound and direction that the band are taking. The Steve Babb composed & performed Tangerine Meme wears its German electronic instrumental heart on its sleeve and as a homage to that legendary musical collective, is nigh on perfect. This incredibly infectious and hugely entertaining story is brought to a close with the ten minute near-epic Fade Away. 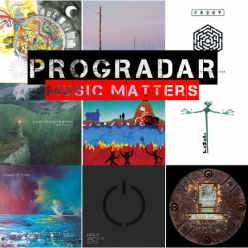 Bringing the story round full circle, but leaving the door open for a further instalment, it’s an inventive and intelligent piece of music that touches your heart with its opening. A tender piano and subdued vocal taking the story up. Like all the best tracks it builds on simple beginnings to blossom into something quite magnificent. The vocals take on the role of storyteller and bard, the musicians giving them the canvas to paint on, building layers and layers of sophistication. This song is a totally immersive ten minutes that you gladly lose yourself in and it twists and turns and then gives you the ultimate reward at the end, a quite wonderful closing guitar solo from Reese Boyd. 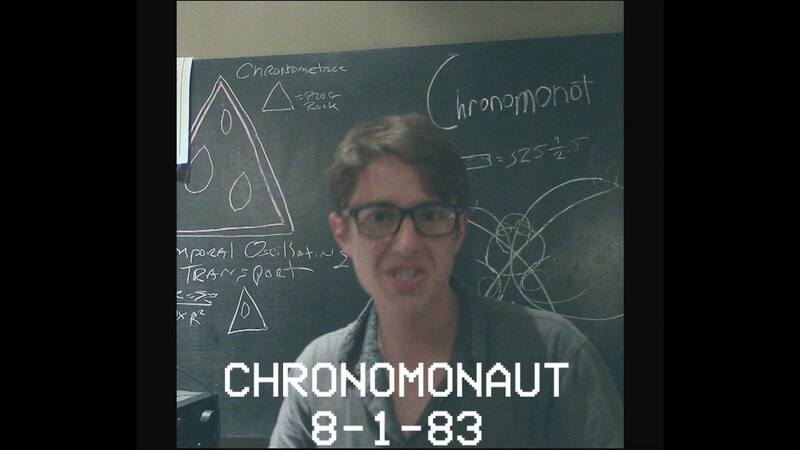 Albums like ‘Chronomonaut’ are the reason why I love music so much and it has become part of my life. It sees a band I love unafraid to take a relatively new direction, organically progressive if you like. 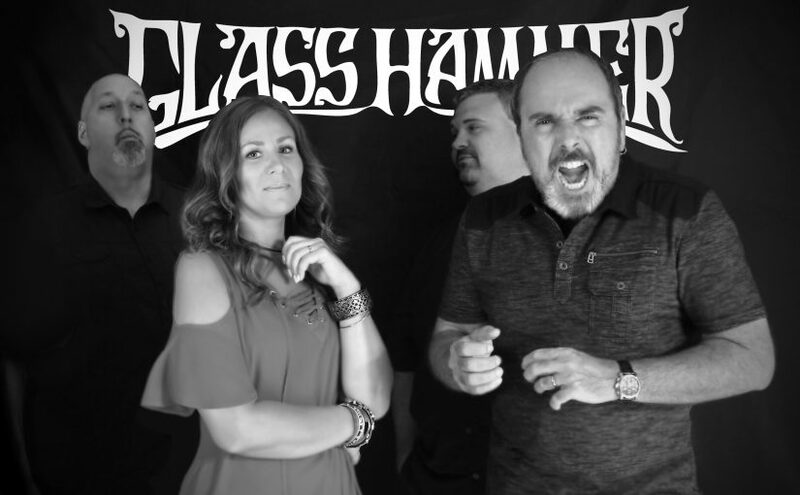 While not completely straying from their roots, Glass Hammer have taken a path less trodden and delivered what is, without a doubt, their best album yet and a fantastic new direction of power, precision and downright soul.